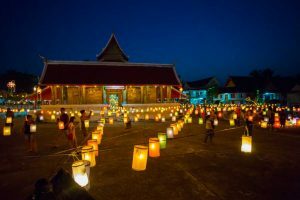 As coveted destinations go, you’d be hard-pressed to come up with a town that fits the bill better than Luang Prabang. 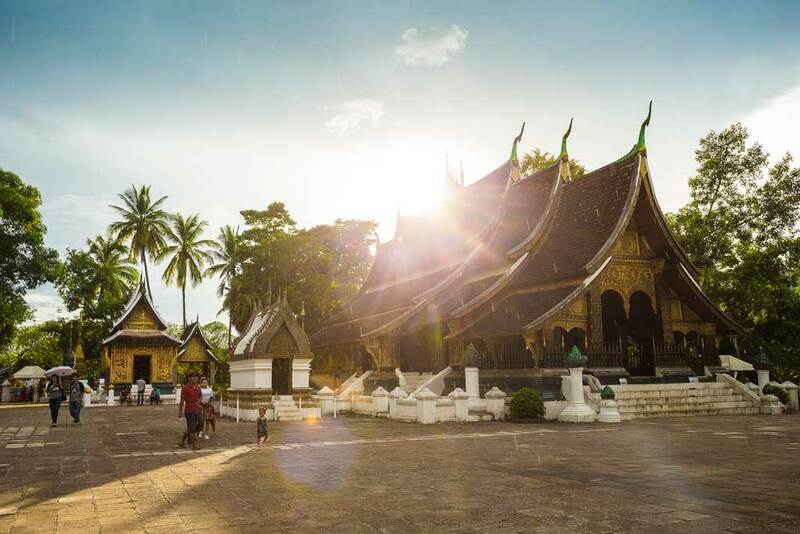 The perfectly preserved former royal capital of Laos is nestled in the northern mountains, dotted with Buddhist temples and has streets lined with French colonial architecture. Tourists flock to this town of just 25,000 people for its sleepy ambiance as much as for its exceptional restaurants and mix of high-end luxury and backpacker appeal. 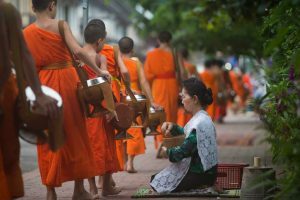 Saffron-robed monks roam the streets, French pastries are plentiful and river views almost inevitable. Yes, for almost any kind of traveller Luang Prabang has it all. 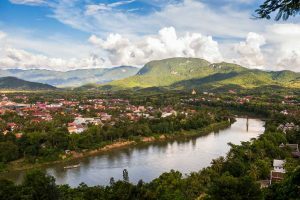 But unlike many of the world’s quaint small towns, Luang Prabang has not evolved over the years by osmosis, but rather by a very deliberate strategy of preservation and protection. In the two decades since it was inscribed on the UN Educational, Scientific and Cultural Organisation’s World Heritage list, the town has been a repeat entry on countless Top Travel lists, and is often cited as a successful exercise in preservation and nostalgia. 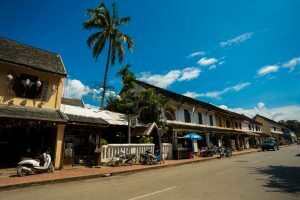 Due to the establishment of the French Protectorate in 1893, the town became what UNESCO describes as “an outstanding example of the fusion of traditional architecture and Lao urban structures with those built by the European colonial authorities in the 19th and 20th centuries”. 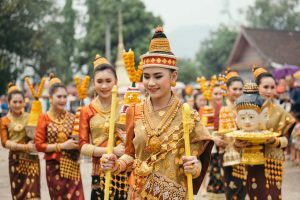 The need to preserve such a beautiful blend of traditions may seem obvious to the average traveller seeking beauty and harmony around every corner. But, much like a skillfully executed film set, the amount of work required to keep the town intact – both in the past and on a daily basis – is not obvious to the average dreamy-eyed tourist as she drifts through its tranquil streets. Luang Prabang is, in many ways, a labour of love for anyone who’s been involved in its restoration and preservation process. From the senior political figures who returned to their hometown after the revolution and saw its heritage potential, to the architects and heritage experts who devised a strategy to ensure the preservation of an area comprising around 600 different structures, Luang Prabang is a project that will never be finished, only maintained in the delicate sweet spot between the ancient past and the modern present. It can’t have been an easy task, convincing locals not to knock down some old buildings in favour of new, modern facilities or over-restore them. To maintain that if everything was kept intact, tourists would eventually flock. But, in the state the town was in by then, many locals didn’t take much convincing at all. Three decades on, and here we are, sitting at the pavement tables of a chic café on the main street. It’s low season, but the street is still bustling, with busy locals and tourists moving through the newly paved laneways, cycling along the riverside roads and drifting in and out of cafes and shops. 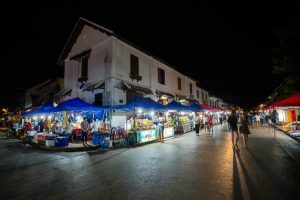 It’s a vision that was not immediately obvious to Luang Prabang’s residents all those years ago, or even in the mid-1990s, as UNESCO set about creating an inventory of protected structures, and rules to keep them both intact and habitable. But today, the project is well and truly part and parcel of the local psyche. Most people understand that being a World Heritage site is a good label in terms of tourism – it’s appealing, and beyond farming, there is precious little else by way of income in the region if not tourism. And the reverse – risking losing this label – could be dangerous for the tourism economy and employment. 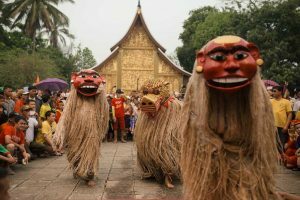 By now, it’s a cause in which the local population is well and truly invested – more than 600,000 tourists in 2016, and new flights regularly popping up from Vietnam, Thailand, Singapore, Malaysia, Korea and China. A recent report from the Provincial Finance Department predicts that the province will collect more than 1.41 trillion kip in the next five years, 90 per cent of which will come from the trade and service sector. Today, the role of the Department of Luang Prabang World Heritage, a provincial office of the Lao Ministry of Information, Culture and Tourism, is threefold: to enforce the rules established in collaboration with UNESCO in 1996; to assist residents wanting to adapt their houses or businesses in accordance with those rules; and to embellish the town with all that’s needed to make life easy and visits a pleasure. This means paving sidewalks and laneways, and removing unsightly electricity pylons, among other things. Many returning visitors have been struck by the town’s changing social structure over the years. New Lao residents in the town have come in two waves. The first were workers who left long ago returning home to reap the benefits of the flourishing economy. The second are ethnic minorities, particularly Hmong people, looking for job opportunities in town, having recently been persuaded to stop shifting cultivation and growing opium. It’s consistent with the goals of the Lao government to have all ethnic components working together, and by all accounts seems to be working. But with a changing population comes a new kind of problem – how to create affordable housing for the hundreds of young workers of the tourism economy, beyond the aesthetically pleasing heritage-listed confines of the old town. 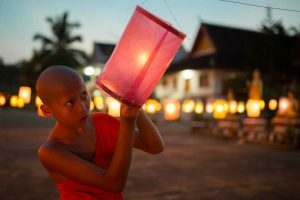 Luang Prabang is and always will be a work in progress, and, like many success stories, already has its nostalgic-for-nostalgia detractors. “You see it from time to time, usually from American journalists, saying, ‘This is becoming a fake place, a kind of Disneyland or open-air museum’ or things like that, so there are people who have been here 10-20 years ago who are regretting the old atmosphere,” Engelmann says.